As a Carrier Dealer, Santa Clarita Custom Air specializes in selling, installing, maintaining, and repairing Carrier heat pumps. Carrier is considered the premier manufacturer of heating and air conditioning systems because they manufacture machines that offer incredible energy efficiency, reliable performance, and state-of-the-art technology. Additionally, Carrier stands behind their equipment with impressive customer satisfaction guarantees and warranties. As a result, it's no surprise that Carrier is also known for making some of the best heat pumps available on the market today. 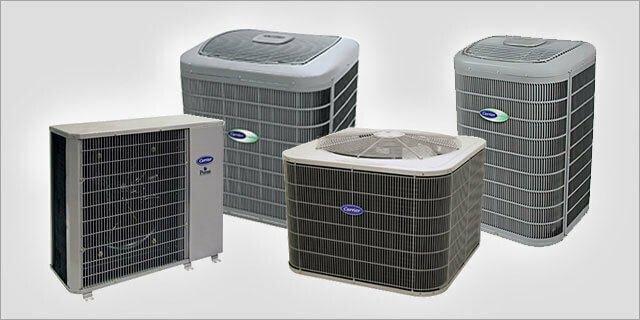 There are three lines of Carrier heat pumps: the Infinity, Performance, and Comfort Series. By having three lines of heat pumps, Carrier has options to suit nearly every heating and cooling need. Infinity heat pumps are the best for those looking for superior energy efficiency. Performance heat pumps provide high energy efficiency at a mid-range price, and Comfort Series heat pumps offer solid efficiency at an economical price. These systems are ideal for areas where there is no natural gas, such as condominiums where only electricity might be available to its tenants. In general, because heat pumps essentially work by transferring heat, they are typically most efficient when temperatures are higher than 40 degrees outside. Supplemental heating is usually required if temperatures drop below freezing. Give us a call at Santa Clarita Custom Air today to schedule a free consultation and learn more about our Carrier heat pump sales and installation services available in Santa Clarita, Encino, Woodland Hills, Newhall, Saugus, Stevenson Ranch, and the San Fernando Valley. We also provide affordably priced heat pump repair and maintenance services for all major heat pump brands. Santa Clarita Custom Air is a family-owned and -operated, licensed and insured HVAC company with more than 27 years of experience and thousands of satisfied residential and commercial clients.